Save Money With Protein Tubs! Protein tubs will provide your cattle with an excellent source of protein. Because they’re easy to handle, store, and manage, producers can ensure their herds receive all the nutrients necessary when forage availability changes. Protein tubs enhance intake and utilization of available forages, thus reducing labor for producers and saving you money! The tubs are weather resistant and able to withstand rain or wind. They provide readily available energy to help stimulate rumen fermentation, which helps cattle extract more energy from forage. 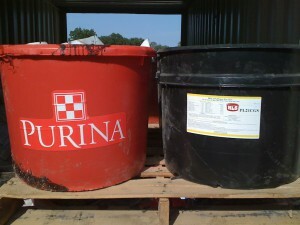 Tub supplementation can also help cattle keep healthy weights and body conditions. Eagle Hardware stocks Purina and Hudson protein tubs. Stop by and we’ll be happy to answer any questions you have about them. 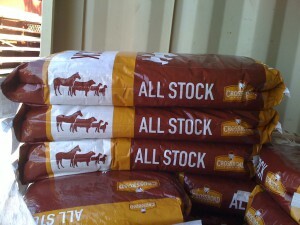 Ever considered an all stock feed? Eagle Hardware Farm & Ranch carries Crossroads All Stock, which is a great feed for beef cattle on pastures, for horse maintenance , and for growing goats and sheep. Priced competitively, this product instigates a greater feeding amount. It should be fed in addition to a daily ration of roughage and appropriate supplements. Stop by the store and talk to Shawn about Crossroads All Stock! Did you know? 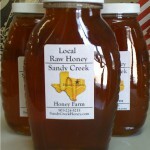 Eagle Hardware also sells local raw honey? 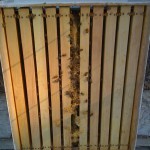 There is nothing better than honey start from the farm! As you can see, the honey bees are hard at work on next year’s crop already! Next time you are in the store, make sure to ask for a jar.